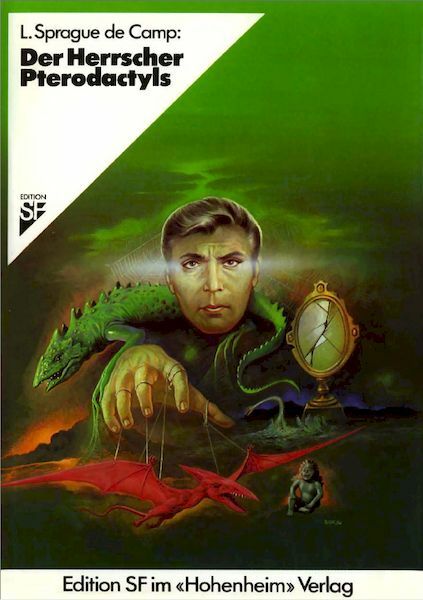 First German edition (not stated). The copyright is assigned for the year 1979 to the author. The copyright of this licensed edition is assigned for the year 1982 to the publisher. Month of publication from Science Fiction Times April 1982. The individual sources and coyprights are listed on p. .
A note on and an uncredited photo of the author are on the back flap. The cover art is credited on the copyright page and on the back cover. The cover design is credited to the advertising agency Scope (on the copyright page) and to Hanswerner Klein (on the back). The price is not stated in or on the book but could be found at Deutsche Nationalbibliothek.